FINDING SOLUTIONS FOR TODAY'S PROBLEM SHOPPING CENTERS | MELANIPHY & ASSOCIATES, INC.
Today, with many major malls and community shopping centers owned by insurance companies, pension funds, foundations, institutions and foreigners, the current real estate depression is causing a new kind of consternation. Up until recently, ownership meant increasing income, full occupancy, strong department stores, and rising values; a gold-platted investment. Leveraged buyouts of department stores, in the later '80s; a major recession, significant overbuilding, the savings and loan disaster and consumer frugality, resulted in significant problems to the industry. These problems are reflected in lower occupancy, declining overage rentals, store failures, slower rent payments, vacant department stores, and most importantly, lower real estate values. Where have all those guarantees, foreign buyers and rosy computer-generated income projections gone? In a typical scenario, the institutional owner's staff or an outside management company has been trying to determine what can be done to solve these problems. Unfortunately, miracle cures are sought when quick fixes are a rarity. No doubt, the probable objectives, alternatives, and solutions have been discussed to death. Moreover, most of the management and executive staff have visited the problem shopping center site several times. Recently, while participating in solutions for a troubled shopping center, I asked our client to add up all of his staff's time and travel expenses related to the problem center. He was startled to find that the staff's travel expenses substantially exceeded the amount of our fee. Next, we computed his salary expense applied to the project. When he looked at the results he almost had a stroke. He, like many others, never realized what it was internally costing his company to address the problem. The organization now has a new procedure for problem properties which requires fewer people and fewer trips to the site. Interestingly, the process is now faster, with quicker decisions and resulting in positive results. Decision making is now the rule. Historically, one of the first steps in action-based solutions has been to replace the shopping center manager or local management company, since obviously they must have been at least partially or wholly responsible for the problem. This may or may not have been true. Instead, this is often done simply to show action. Unfortunately, we often find that previous management were not given clear direction or authority, so the fault may not be entirely theirs. Next, a new leasing company is normally engaged to institute an aggressive "tenant acquisition program." Finally, when that fails, ownership or management considers engaging outside consultants to help find solutions. What does the consultant do with a troubled shopping center? The first step is to develop facts, rather than rumor, fantasy or opinion. Moreover, it should be done by someone who has the depth of experience to read the signals and interpret the findings accurately. Let's examine some basic steps to a factual solution. Thoroughly evaluate the past and present performance of the shopping center, the individual stores, retail categories, as well as the physical characteristics of the center. It is important to determine the level and type of store performance, turnover, and the how's, when's and why's of the situation. Is the problem a result of external forces, poor retail mix, internal incompetence or others? Often, it is a combination of all. Also, it is important to understand the physical limitations or the expansion possibilities of the complex. The analysis includes: anchors, store placement, sales performances by store locations with in the center, access, parking, visibility, physical condition. Conduct a qualitative and quantitative inventory and analysis of the existing competitive facilities. 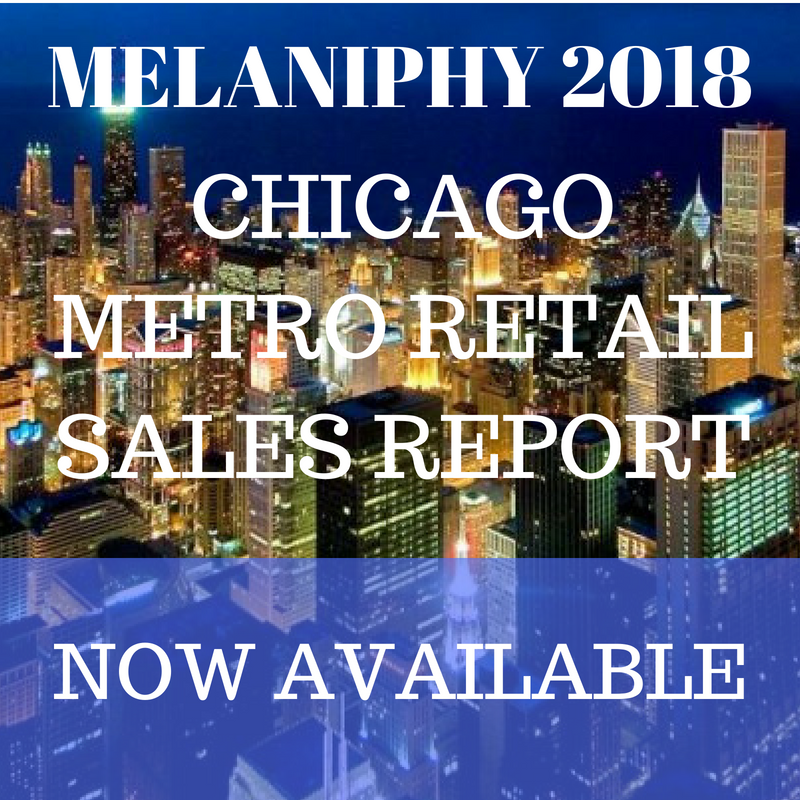 This includes: location (intercepting or otherwise), date opened, square footage, retail categories, sales performance by stores or store categories, products, pricing, sales, market share and others. Are the competitors also hurting? Do they have similar problems? There is a tendency on the part of ownership or management to place a good part of the blame here. Some of it may be correct given the tremendous number of new shopping centers and retail facilities constructed in the past five to seven years. Nonetheless, one must be realistic; how much really did hurt the center? Or how much of it is directly related to the consumer's orientation to price\value? Factually answers are required. Meet with the merchants and discuss the situation with them. It is essential to see the opportunity and problem through their perceptive eyes. Many owners are very dubious of this approach because it involves the tenants; and, therefore, might affect renewal negotiations. My experience indicates that they already know of the problems and are relieved to know that management is doing something about it. It cannot hurt if done properly, and in fact, can be very beneficial to tenant morale. Interview the shopping center's customers. Without a well done customer survey, you are going into a fire fight armed with a water pistol. You need data regarding the actual trading area, customer shopping frequency, store preferences, cross shopping, amounts spent, likes, dislikes, strengths, weaknesses, suggested improvements, safety and security perceptions and customer profiles including: age, income, lifestyle, driving time, and other important factors. Yes, it costs money. However, without the data, critical assumptions are made that often are totally wrong, and yet considerable funds will be spent upon the erroneous assumptions. Don't be foolish. Develop facts from which realistic conclusions and solutions can be developed. Many shopping center owners and managers are opting for Focus Groups as a substitute for a definitive customer survey. While it is interesting to sit on the other side of a one-way glass and listen to the discussion, it is not an adequate substitute. In fact, it is often dangerous because a very limited number of people are queried regarding their patterns. Focus Groups represent a starting point; insight into designing a questionnaire. I find that major conclusions are being drawn from Focus Groups that are not necessarily grounded in sound principles, nor adequate statistical reality. Establish the Actual Trading Area based upon where the customers originate and evaluate the age and income structural changes. Where do the most frequent customers originate? How often do they come to the center? Where else do they shop and with what frequency? What is the demographic structure? Many trade areas are aging. Older people buy less, usually resulting in the demand for less retail floor space. Also, changes in household structure and income affect disposable and discretionary income. The mini-baby boom is beneficial to some centers and detrimental to others. Also, today many customers may be originating their shopping trip from work, rather than at home. Time available for shopping is being compressed. Shopping is becoming a chore, rather than an experience. Also, the customer's frequency of visit is critical to truly understanding the trading area. The trading area should be subdivided into parts. The primary trade area should represent the area from which the most frequent visitors originate. The secondary trade area represents those customers who visit on a less frequent basis, and so on. Also, trading areas are not round. Instead, they often tend to take on an elliptical shape because of the roadway network. Conduct a thorough evaluation of demographics and make projections for at least five years. If you are using data from one of the computer demographic services, check to make sure it is accurate. Because it comes from a computer does not make is accurate. Make sure that you also order the list of census tracts included in the data. Take a census map a check the tracts to be sure that they are the correct ones. Finally, drive the trade area and make notes regarding what you see. Then review the demographic data, especially the age and income figures. Remember, in retailing usually the most important demographic characteristics are age of the consumer, household structure and household income. Gather and analyze the current traffic flow data. Also thoroughly study the existing shopping patterns within the trading. We are finding that some very large malls are being avoided because of traffic congestion and the importance of consumer time. Also, obtain hourly traffic counts. This will permit evaluating activity around the center hourly. Analyze the strength and weakness of the trading area. This involves studying the resident demographic characteristics of the trade area portions (i.e., primary versus secondary) which show strong attraction versus segments that reflect limited attraction. Next, compare the data to the findings from the shopping center customer survey. How do they compare? Is the shopping center not attracting customers from some areas? Why? Is the reason competition, road patterns, or are the resident characteristics considerably different from the customer characteristics? Calculate the current market share or market penetration of the mall both totally, and by retail categories. Market penetration is the same as market share. It is important to determine the shipping center's batting average and compare it to other centers of a similar size, location, and tenant mix. Market penetration is determined by computing the market for which the center is competing in relation to the sales being captured. This should be carried out for both the center as a whole and the individual retail categories. For example, women's ready to wear market penetration should be computed as would all of the other significant categories. This requires some work, but is well worth the effort because it truly indicates where problems lie or opportunities exist. A telephone survey of residents within the trading area should be conducted. The in-center customers survey will indicate the segments of the trading where the center has strong attraction and, conversely where the center has weak customer visitation. Both are important. Moreover, it is essential to know why residents of one trade area segment do not shop at the center on a frequent basis, in order to develop a program to encourage their increased shopping. The sample must be large enough to permit considerable cross-tabulation of results. The questions should be designed to identify both shoppers at the center, as well as non-shoppers. This is the best way to determine possible actions that may both increase the size of trading area and increase customer frequency to the shopping center. What do the results indicate? What actions are necessary to address the patterns, opinions, like and dislikes of the respondents. Identify comparable situations and attempted solutions. You are not alone with a problem shopping center. Therefore, networking with other shopping center or retail people will aid in identifying other centers with similar problems. The objective is to see how others have approached the problem and what solutions they have tried. Most important, what has worked? Analyze the results and objectively develop conclusions and possible solutions. Often, this can be painful, since it focuses on problems which might have been addressed previously. That not withstanding, it is time to get on with the solutions. The process may be slow, time consuming and frustrating, especially if one is looking for a quick fix. Nevertheless, here are some things to think about. A. Work with the existing tenants; do not let them get away or lose faith. B. Realistically where are the tenant solutions going originate, how should they be implemented, and how much will they cost? I am reminded of a problem shopping center where management met with each tenant, and in many cases, reduced the rent or went to percent only. A nearby shopping center competitor refused to deal with the existing tenants causing many of them to fail or relocate. Today, the center management that worked with the tenants is improving sales with an 85 percent occupancy, while the other non-cooperative center has an occupancy of under 40 percent and has been taken over by the lender. C. Who, both in and outside of the "retail" market, might represent a possible tenant. For some centers, there will be very few new tenants for at least the next two years. D. What are some other alternatives? Most landlords do not like non-retail uses in their centers. Nevertheless, they can occupy space, pay rent, bring workers to the center on a daily basis, and perhaps, generate additional people to the center. Naturally, it may require some moving of existing tenants to make it work. How does it pencil out? It may be a solution. For example, in middle to small sized cities and towns, it is not impossible to obtain city, county or state offices. It has been done in Canada for years. Will it work in your troubled center? While the economy will likely improve in the balance of 1993, there simply are too many shopping centers for all of them to survive. Location alone will not dictate the winners and the losers. Instead, hard work, detailed planning, innovated leasing, aggressive management, unique marketing, and unusual approaches to complex problems will prevail. Nevertheless, the road can be made much smoother, if the facts are accurate and the analysis is comprehensive.